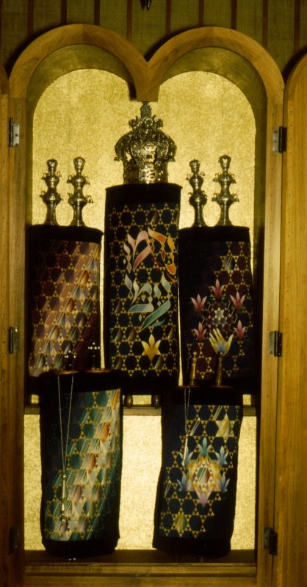 The ATA Award was presented to Maria Estela Serafini for her tapestry “Unfinished Dream,” at the opening reception for New England Tapestry 2004, on Saturday, September 25, 2004. 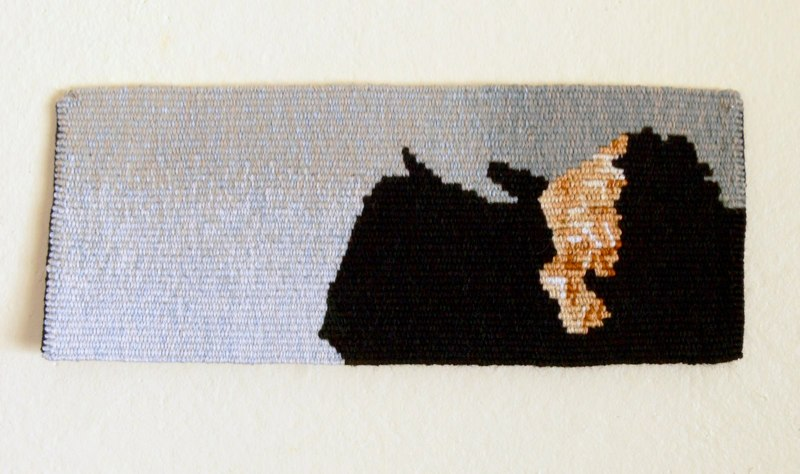 The award consists of a ribbon, one year complimentary membership in the American Tapestry Alliance, and an ATA catalog. 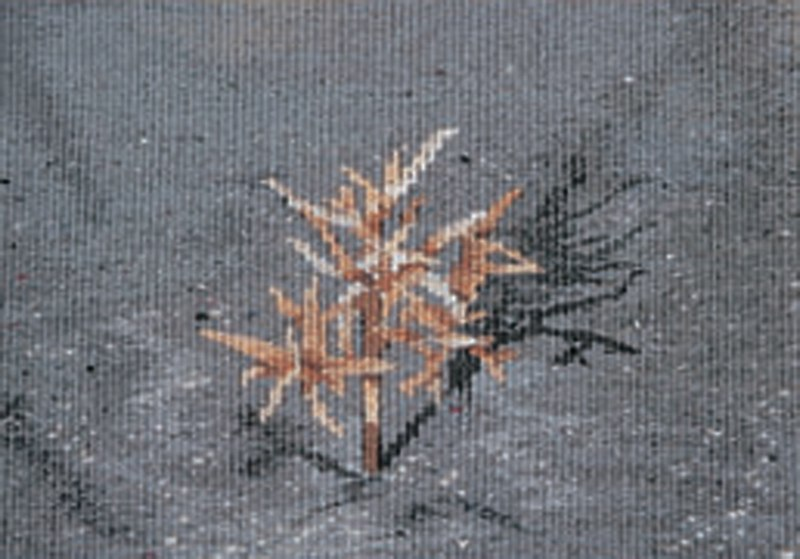 The jurors, Suzanne Pretty, Elinor Steele and Janet Austin chose Serafini’s tapestry because of the artist’s creative use of tapestry techniques and materials to eloquently portray the dreamlike feeling of a remembered place. Maria Estela Serafini was born in Dean Funes, Province of Cordoba, Argentina. She got her Teacher’s degree in the ’60s. 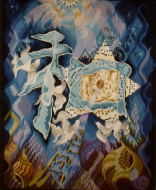 At the end of the ’70s and in the ’80s she was dedicated to China painting, and took drawing classes at the same time. 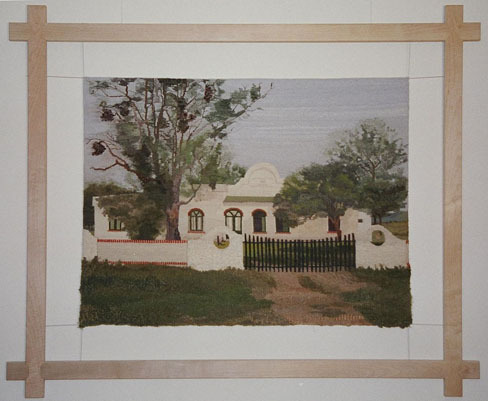 In the ’90s she began to work with textiles in frame looms at La Rueca (The Spinning Wheel) in Cordoba, Argentina where she was one of Graciela Szamrey’s students. Serafini has lived in a suburb of Boston since 2001. In November, 2002, her tapestry “Knowledge Tearing the Ignorance” got an Honorable Mention in the Second International Biennial Interlacements: Fiber and Metal in Coral Gables, Florida. Each human being has a personal idea of paradise. Mine was fulfilled when we found “La Isabela,” the ranch which became our home. It didn’t last long: by then I began to “write” my dreams in the white page of a warp. I awoke before my dream finished but when I now look at my tapestry the strength of the memories comes out enlightening my present: each sunset, each laughter, each conversation, each goal we achieved is already woven. I remember the music of the wind when I watch the trees; or the fragrance of the grass after a rainy day. I remember my kids growing as teenagers and the warmth of my husband’s hands after an intense day of working.